The remote for dropper posts in shifter style. Ergonomic, unrivalled light and strong. 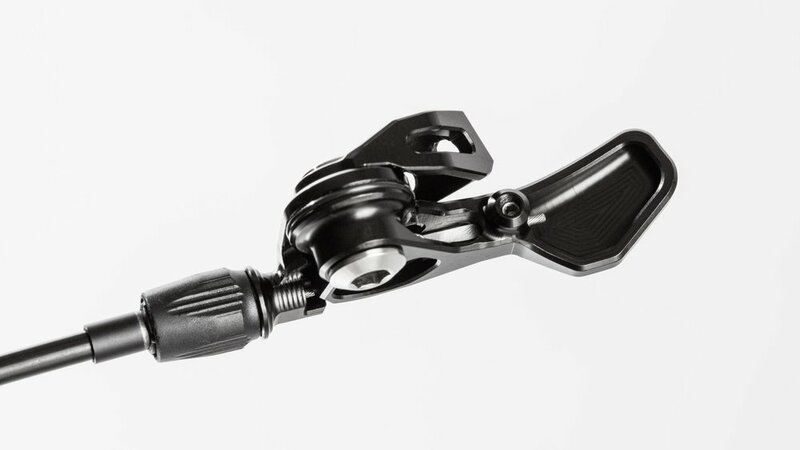 With the two way axial and a five times rotational adjustment, the trigLOC remote lever meets all requirements for actuating a dropper post in the most ergonomic way. cable is fixed without destroying. 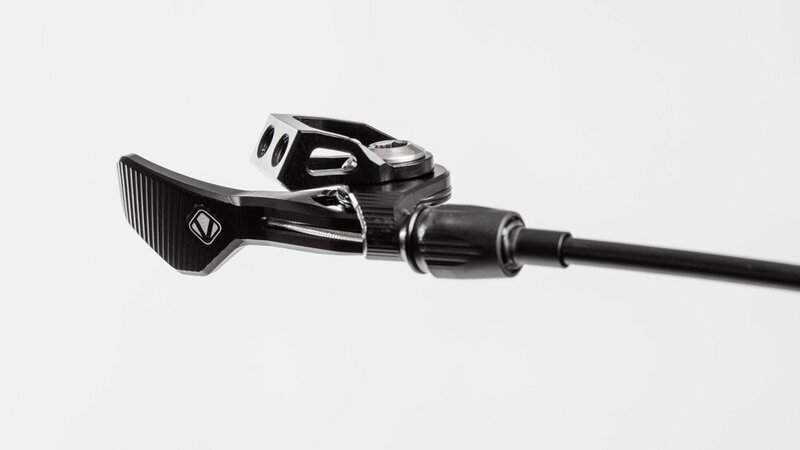 By using the SRAM Trigger Mount Interface (matchmaker) the trigLOC remote lever is compatible to almost all brake levers with the respective adapter. 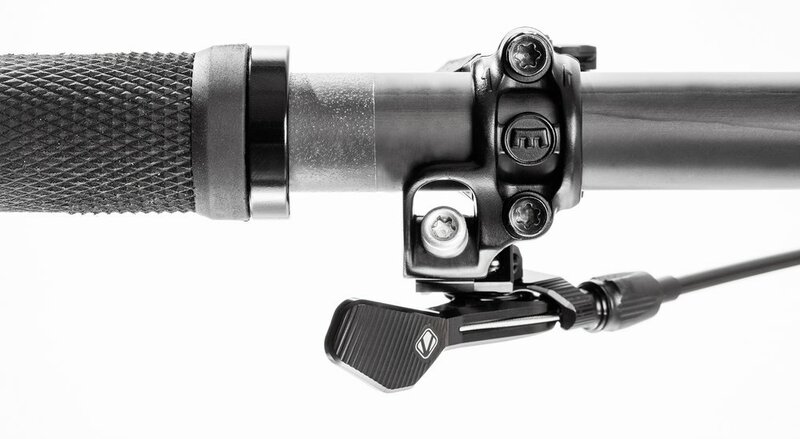 As an alternative to the direct mount, you can use our standard clamp for installing the trigLOC remote lever directly on the handle bar. With the clever cable clamp you can use the lever for nearly all cable actuated dropper posts, no matter if lever side or post side cable clamping is needed. 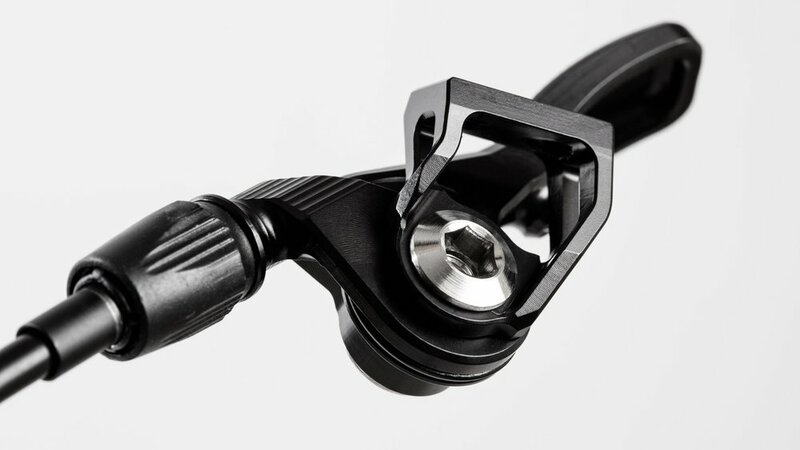 As an alternative to the SRAM trigger mount interface you can also install the trigLOC lever with the provided universal handle bar clamp. The moveLOC 2 is available with the universal remote as well as with the trigLOC remote lever in shifter style as a bundle.